I was deeply disappointed when President Rodrigo Duterte, the Head of State of the Philippines, recently made good on his threat of closing the Island of Boracay to tourists for six months. From now until October, the 2017 Condé Nast Traveler Readers’ Choice Award winning destination will be off limits to all visitors. In the President’s own words, this dream destination has turned into a ‘cesspool’. What a terrible precedent, a worst-case scenario and a stark warning to us all. This official ban on tourism results in an official shutdown of employment for thousands of residents. ‘Overtourism’ has them out of business. For their families, this means being left out in the cold. This is not new news. In 2017, we saw numerous scathing articles as regards the ‘over tourism’ debate and the outcry from concerned officials in destinations such as Dubrovnik, Barcelona and Venice, who called foul of the excessive crowds and pressure on local infrastructure. The rumblings are no longer an early warning sign. They are a painful reality. For those of us in the travel industry, we need to recognise that as the Northern Hemisphere summer rapidly approaches, we have a direct responsibility to address, head on, the risks and increasing realities of overcrowding. This curse of unmanaged growth of the sector is creating real problems for the very places – and their people – that are inspiring us to travel in the first place. Tourism growth is not the enemy, nor are growing visitor numbers. Tourism can and should be a force for good, creating jobs and long-term sustainable economic growth. When managed carefully, holistically, and for the long-term, tourism has the ability to sustainably advance economies and societies, while protecting cultures and environments that epitomise destination identity. But how do we stop the trend of the tragedy of not treading lightly? How do we unlock positive tourism growth and impact? Frustrated at seeing the severity of the situation, I have established a three-step solution which I believe will aid long-term tourism management. Step 1: Dissemination – Adopting a ‘365’ approach to tourism, working to ensure year-round tourism to ensure sustained destination visitation and resulting tourism business momentum. Our industry is about giving, not just taking. Sustaining a business for longevity and legacy means driving tourism activity beyond the peak season. 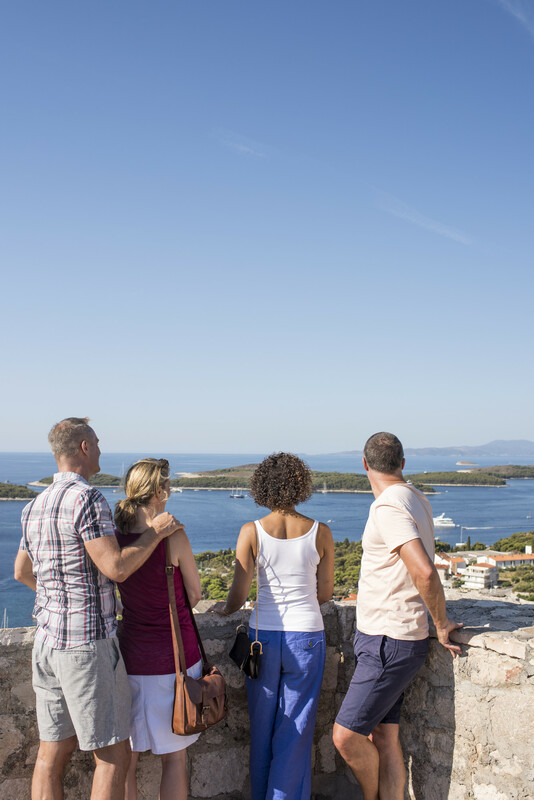 Seasonal tourism management alleviates such pressures – it allows us to be enablers not eliminators when it comes to helping local businesses in the likes of Dubrovnik, Venice, Barcelona or wherever it may be. We must break the bottleneck approach by staggering travellers across the seasons. Step 2: Dispersal – Encouraging discovery beyond the usual tourism centres, widening the guest’s travel path to discover other areas within the destination. 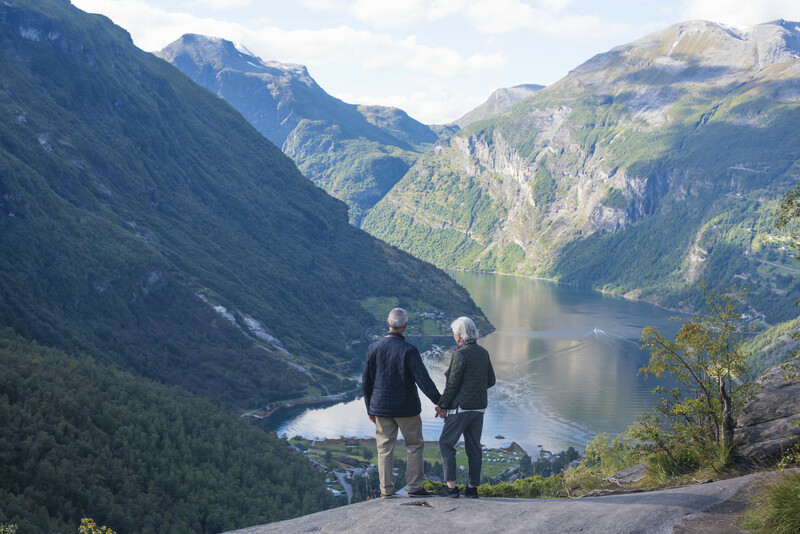 At Trafalgar we take pride in encouraging our guests to discover the iconic as well as get below the surface of the places we visit by exploring villages, going beyond the expected and connecting with communities. Travel is about forging new paths, the adventure of delving deeper into destinations. By creating new and interesting experiences we not only promote lesser-known areas for our guests to explore, we ensure we are maximizing the immense benefits of for more people to experience the beautiful places we visit, all year-round. Step 3: Direct Action – Let us all understand the power of direct conscious thought on what we do. We should recognise that at times we need to support, other times we need to approach what we are doing in a different way. A great example of this being the UNESCO listed Giants Causeway, which pre 2012 was struggling to cope with the ever-growing influx of fleeting visits. The National Trust wisely realised that by focusing on an initiative that would provide education and interpretation of the area, they could embrace the opportunity to welcome more visitors without impacting the environment. With the creation of a new visitor sustainable visitor centre to help manage people flow, it was designed with a roof seeded from local grasses and also blended into the surrounding environs in a place of natural beauty. In 2017, Giants Causeway welcomed 1 million visitors, a record for any Northern Ireland attraction. Moreover, the new facility demonstrated the importance of enabling and preserving as opposed to running the risk of eliminating, with people roaming without regard for what they are seeing. Trafalgar is proud to have been involved with such a commendable initiative. It is imperative that when taking action in the destination, this must, must be done so in genuine partnership with locals – the emphasis being onworking with them to ensure the betterment of the places they call home. In doing so we ensure a focus on safeguarding the natural beauty, cultures and traditions of the people and places we visit, which is how we are able to instill the power of travel to truly change lives, both for travellers and for those people in the places they visit. Reflecting on the above, I am reminded of a recent trip to Dublin, where I met with Niall Gibbons, CEO of Tourism Ireland. who advised that “Tourism is our largest indigenous industry, with more than 281,000 people across the island employed in the sector.” His pride and sense of determination was clear when he shared with me his enduring ambitions for his country of birth, stating: “In 2017, we welcomed approximately 10.65 million overseas visitors to the island of Ireland, delivering revenue of about €5.78 billion. In 2018, we aim to grow overseas tourism revenue by +5%, to €6 billion for the island of Ireland; and to grow visitor numbers to 10.8 million (+2%). Our aim is to position Ireland as a year-round, ‘must visit’ destination and to ensure that the contribution of overseas tourism to the economy continues to expand.” It was a true meeting of minds to hear him make such a statement. Travel is one of life’s great gifts. We now know that it comes with great responsibility. We are blessed to be able to see beautiful places that excite our eyes and ignite a fire in our hearts. But we cannot let the places have a shared passion for be loved to the point of extinction. The future of our industry is now moving beyond exploration – let us ensure that becomes a firm step towards preservation, not elimination. We must take action, now, or face the fact that the damage occurring may be irreversible. As little we are in this world, we can make a big difference by each of us changing our behaviours – opening our minds and eyes to how big a responsibility we have to help preserve our precious planet. This is our new travel destiny. Welcome to the new reality. March 8th is a day not only worthy of global attention but also celebration and unification. For over 100 years, our global community has come together to honour women and recognise their multitude achievements with International Women’s Day. And for me, personally, it is a day very close to my heart. Importantly and uniquely, International Women’s Day is not affiliated with any one group, but rather brings together governments, women’s organisations, corporations, charities and individuals all to reaffirm the original aim of the movement; to achieve full gender equality for women. This past year has been one that has put an even greater emphasis on the quest for true equality for women. We all know the now numerous reasons why this sentiment has recently and rapidly escalated, and no one can dispute the rightness of the value of woman being unequivocally recognised, respected and protected. Whilst this global truth has not yet been fully realised, this year International Women’s Day highlights more than ever how far we still have to go, must go and will go, especially with an ongoing global reckoning on allegations of sexual misconduct rippling through all industries. The abundant and awful #MeToo accounts continue to be exposed, those guilty now exposed too, with those violated commended for their courage in standing up and helping others to speak up also. The theme of this year’s International Women’s Day is #PressforProgress. The website highlights: “We can’t be complacent. Now, more than ever there is a strong call-to-action to press forward and progress gender parity, respecting all equally. A call to motivate and unite friends, colleagues and whole communities to think, act and be gender inclusive.”. I am fortunate in that the greatest inspiration in my life was my mother – a single mother who raised four children in South Africa at a time, in the late 1960’s, when being a single, divorced woman was controversial and divisive. First and foremost, she taught me to respect others. She embedded in me the importance of kindness and being responsible for the decisions I would make throughout my life. I grew up with an understanding of what could be called ‘chivalry’. To me such behavior is simply just good manners. Common courtesy and respect for others costs nothing. Today, I am blessed in that the example of the value of remarkable women is one I experience every single day thanks to my extraordinary wife Toni and her mother, Bea. Through two generations, they both equally define and engender the spirit of female care and compassion, perfectly in harmony with their inner strength, vision and passion that has no barriers. As the head of Trafalgar, a truly great company comprised of exceptional leaders both female and male, I think it’s vital that we acknowledge that globally, inequality does exist and as leaders, we simply must commit to advancing and empowering women throughout business, knowing how imperative it is that every day, their value is recognised and honoured in precisely the same way as their male counterparts. I celebrate all the women in my life and all the females in this world. However, as a leader, I take this timely opportunity within to shine the spotlight on the women within Trafalgar, who have proven themselves to be an imperative ingredient when defining our culture, our vision and our success. As a company, we have always been and always will be firmly committed to female empowerment and advancement. Equality is an action we all live by within our tribe. Regardless of our own gender, every single one of us within Trafalgar are each champions for changing our world for the better, particularly ensuring that we actively identify and develop the true potential of our female colleagues. I feel strongly that I and my entire team are aligned and devoted to this line of thinking. Regular evaluation and progress check-ins are, of course, a requisite when making such commitments for support. I have never been and will never be one to pay lip service. With International Women’s Day upon us, it felt even more appropriate to evaluate how we are doing and to highlight some of the female forces that are weaving a wonderful legacy for future talent, of both sexes, within our tribe. It is clear to me that through words that have firmly translated into actions over the years, Trafalgar has and continues to facilitate an environment of nurturing female talent and fostering a culture of empowerment and entrepreneurialism throughout the brand – this spans our internal Tribe as well as our extended Tribe i.e. those inspirational colleagues we work with on the ground – our suppliers. It fills me with immense pride to see how strongly we are enabling connectivity and community amongst women both internally and externally. We mentor and coach women. We build strong and impactful teams of women who support one another and build each other up. It’s so powerful and uplifting to also see the embodiment of a culture of “community not competition”, which shines from all angles. As I personally look at female forces working directly within the brand, it is impossible not to think of, and immediately salute, Theresa. She is a true example of all that is to be recognised and celebrated in female leadership. Starting as a sales manager more years ago than I’d put in writing, today she runs our entire South African business. I enjoyed recently receiving a copy of a 1990’s group contract from a multi-repeat guest who had worked with Theresa some years ago and today considers her a friend. Theresa is an enduring, shining example of grace, greatness and true tenacity. Following a series of positions and promotions, Monica joined us in Trafalgar in 2005 and, as she says, “the rest is history”. A single mother, she has also been a real champion in making her family part of our greater TTC Family, referring her sister as well as daughters to become part of TTC. We are truly one family. I can proudly share with you that, looking across Team Trafalgar, I see that the majority of our leadership teams are female: 100% in South Africa, 78.5% in the USA, 66% Canada and 65% in Australia. In Marketing our teams are 100% female in USA, Singapore, Australia, Canada & South Africa. Marta Cucchia in Perugia – with a true talent for the generations-old skill of jacquard weaving, she is the only person in the world still doing using such methods to create Umbrian, Medieval and Renaissance designs, every day making a difference with her passion to preserve this tradition. Marta is only one example of us working to further empower these successful women to form deeper connections locally, regionally and globally and allowing them to show case their artisanal creations and opening up broader networks for them to share their talents and tips with counterparts across the globe. And she is now mentoring her niece to ensure this gift is sustained. The 60-strong selfless Sisters of the Precious Blood in southern Austria, leading a self-sustained lifestyle and focused on helping those in need from their Monastery in Kloster Wernberg. Diana Lenzi – a trained chef who relocated from Rome to run an estate in Tuscany that’s been in her family since the 19th Century, following in the footsteps of her mother’s philosophy of “learn as you go”. From sourcing local produce to hand harvesting the organic wine and olives to cooking for guests to daily estate maintenance are just a snapshot of a day’s work for Diana. The female-dominated community in the village of Demircidere in Turkey. Undeterred by the devastation of the decimation of their crops by a beetle, these determined women captured our attention and for chose to work with them to support their entrepreneurial spirit and create a Be My Guest to host Trafalgar guests, where they also teach us how to bake traditional bread and taste their home-made wine. Behind Kiranli, Demircidere village has the highest rate of women working in Turkey and is testament to a great example of women working as a community and not competition. We are proud to support their endeavours and also open up the eyes of our guests to such a culture (in all senses). Doyenne of French fragrances, Agnes Costa of Fragonard is fourth generation family of perfumers, taking the mantle from her father and maintaining tradition with help of her sister, Francoise and sharing insights into this wonderful world with our guests with palpable passion and pride. All these women are taking the lead, aspiring to be greater, determined to deliver nothing but the best, often putting others before themselves and striving to share their passion and spread their infectious determination with anyone they encounter. When I consider what it is that directly fuels our success at being the best, there is clear evidence that our innovation and success is dominated by female leadership. The women in Tribe Trafalgar are both the roots and wings, providing our brand with a diversity of perspectives, of innovative concepts, unique insights and impactful experiences. I am honored to live with and work with such an extraordinary group of women. And men. I know that every single aspect of Trafalgar’s envied industry leadership position is possible thanks to the collaboration of our wonderfully eclectic team. And so, not just on this International Women’s Day, but every single day, my heartfelt thanks goes out to all women I know and their relentless displays of strength and character. It is thanks to their commitment, courage, character and class that we can be confident that Trafalgar will continue on its journey of creating an inclusive and diverse culture for the benefit of all – Tribe Trafalgar: our guests, our partners and our team. It is my commitment always, that the door is wide open at Trafalgar and for women, the ceiling is limitless. It seems such a short time since 2018 began and yet here we are now already in February, the December holiday season a distant memory and another new beginning rapidly approaching, with the Lunar New Year upon us. Increasingly I hear, at an accelerating pace, “how time flies”, though the old adage of that being so, “only when you’re having fun”, seems not to always ring so true as I believe it should. As 2018 picks up pace, it’s good to take a step back and remember that we are the pilots, we can control the path we are on and there is no doubt that an essential ingredient to getting the most out of life and ensuring that time really does fly, is to travel. At this point in the year, it’s always important for me to stop, re-centre my thoughts and my heart, and decide, where to next. How about you? Before you reply, I’d like you to think about the following; what if, today, with immediate effect, you were asked to surrender your passport for a year. Worse, that you could not even venture further afield than the city or town in which you live for an entire 12-month period. Many of us are extremely privileged to have the opportunity for freedom of passage, but do we fully appreciate that? Would it take the threat of that light going off temporarily to re-energise some of us and embrace the brightness of the possibilities that travel affords us? Not just for the bragging factor, more importantly for the richness of experience and opening of our minds. And hearts. This emotion is one we must never forget. It is the spirit of travel that I hope we will all work to replenish in 2018. Especially as we move further and further away from the year that was in 2017. As we contemplate travel plans for this year, we will recall that sadly last year didn’t move us forward in any way towards being a unified and inclusive world. For the first time in our generation, a number of leaders have defined their visions for their nations to be about keeping people out, not welcoming them in. Global connectivity and compassion seems to have reached a new low. Efforts to lock the front doors of destinations through the likes of travel bans, for instance, were deplorable. It’s a sad day when cultural diversity and difference are positioned as a risk to national security. Ignorance insisted that isolation was safer than inclusivity. And yet from my perspective, nothing could be further from the truth. It is through our travel ventures that we are able to understand differences, appreciate and embrace diversity and seek to bridge the unnecessary divide. It is this action that creates reassurance. We are stronger together than we are divided by the sum or our parts, which is why, I fundamentally believe that we need to travel to keep our hearts and minds open and preserve society. And so, as the year of the dog and the rest of your 2018 unfolds, I simply ask you to seize the moment, don’t let time pass by and be sure to play your part to actively keep the spirit of travel alive. The end of 2017 is already upon us, and how this year has flown by. I believe in using this time to put a pause on daily busyness and focus on the important business of taking extra care of those we love. For me, one of the absolute pleasures that is almost equalled with frustrations is the gift selecting that comes with the festive season. I fly often. A lot, in fact. And I truly enjoy sharing and exchanging travel tips. But in recognising the time of year, rather than travel tips, I wanted to give some more thought to my sharing and as it’s the season of goodwill and giving. I immediately thought about the questions I am frequently asked about when it comes to travel accessories and what great gift ideas I might have. 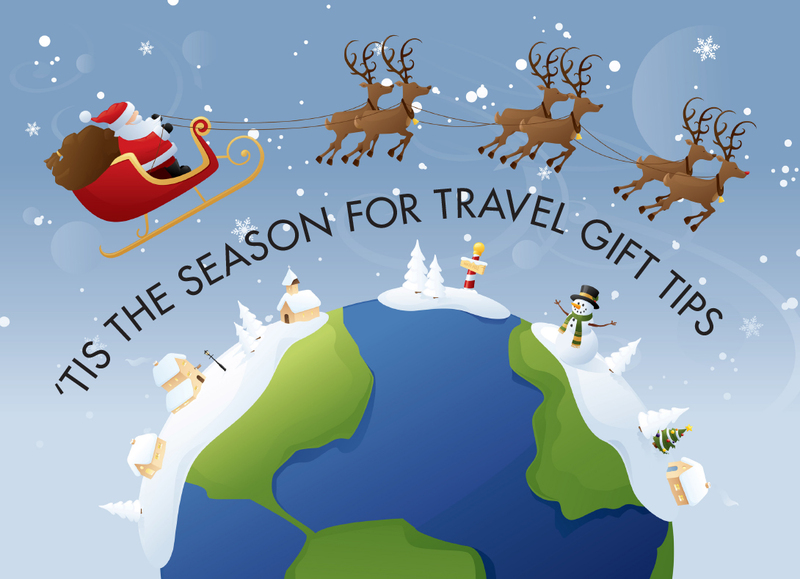 So here are some of my personal favourite gifted tips plus gifts you may like to seek out, road tested, across many miles and continents, that have certainly smoothed the way on my myriad travels. I hope that these may make your holiday season shopping easier and your intrepid traveller’s journeys more enjoyable. Speaking of wheels, they are critical. However, as wonderfully functional as they are, it intrigues me that no one ever thought of putting brakes on four-wheeled suitcases. I therefore only use two wheelers. Neither you, nor your lawyers, want your baggage to show they have a mind of their own and become a giant bowling ball. And in case you are wondering, my most trusted brand: Tumi. Tip number two: Life on the road of with a plethora of planes and time zones, when it comes to being healthy while travelling, the struggle is real. When travelling for work or pleasure it is imperative to hydrate (see tip on this below) and ensure you exercise. There are very some simple, yet effective, strategies that will help you continue to remain healthy while travelling in order to maintain balance and reduce stress. My two invaluable and compact travel companions are my Manduka light travel yoga mat and my TRX, an over the door, very transportable, bodyweight training apparatus. Both do an exceptional job when you have limited time to train before one of “those” early morning departures. It is always tough to begin one’s journey trying to recover from another flight, hence grabbing sleep on a ‘plane is always a good idea. Eyeshades are another essential you need to own in life – from sleep-inducer to do not disturb, they are a great anti-invasive investment. This is one where comfort outweighs cost for me and texture is all-important to rest: cashmere with silk lining is hard to beat. All airplanes are loud. A pair of comfortable noise cancelling headphones will make every flight shorter as they reduce ambient noise significantly; making every voyage more peaceful. A few years ago, I moved from over to in ear headphones (size) and Bose are without question the best in class in this regard. The sound experience is truly transporting, in any mode of transport. Airplane attire never ceases to amaze me. I am always surprised by those flying in shorts, t-shirts and flip flops. I always travel with a zip-up wool sweater and without fail, a large scarf. A recent new addition to my in-flight attire was introduced to me by Scott, who runs our New Zealand office, when he gave me my first pair of Allbirds, the most comfortable merino wool sneakers known to man. Not only do they keep your feet warm, but now that evening trip mid-flight to the bathroom seems less concerning. At this point, it’s worth highlighting that some people advocate sitting by the window is better for sleep, I personally always find it colder than the aisle. The next gift tip is more about conservation and consciousness than comfort: a personal hot/cold water bottle (and hydration too). We all know that plastic bottles are becoming an increasingly present peril for our environment, especially our oceans and you cannot get them through security. I therefore like knowing I am playing my part by carrying my Swiss made Sigg bottle with me when I travel. After all, every little bit helps. When on the road, one of the biggest pleasures comes from not only having the time to read, but also considering what we might read, whether books, magazines or newspapers. Thanks to the remarkable iPad or a Kindle, they have officially ended that need for extra kilos in the tightly-packed travel bags. Unless you are my wife – who still delights in lugging multiple books around. The newest addition to my travel accessories is my first Apple Watch, the 3. I have eagerly awaited this and the opportunity to be Maxwell Smart; communicating telephonically via my watch. But come on Apple, surely you should have thought about the time zone automatically updating (it requires is both iPhone and iWatch restarting, not just from flight mode). We all know that travel can change us and how the smallest of effort can make the biggest difference at times. Don’t dispose of all your local currency before leaving a country, don’t force yourself to have that last cup of coffee or buy that non-essential useless gift. Save your change to help make a change. Almost every airport in the world and many airlines now collect currencies that are used for a diversity of worthwhile causes. It’s a timely reminder during the season of goodwill. And it’s a small gesture that can have a big impact if we all do our bit. Lastly, my final tip, is one very close to my heart, that I feel every traveller should have a personal totem. What do I mean by this? Something small, of personal value and/or significance, that you can always carry with you and that keeps your spirit connected to you. I have carried the same Tibetan sandalwood prayer beads with me for years. I can only imagine how many air miles they have travelled. Every time I hold and quietly play with them wherever I may be, I can feel myself centering. This ability to pull out, hold, touch and absorb something highly personal is essential to carrying that precious piece of home with you wherever you are in the world. Its value is never quantitative. It is always about the emotional connection, irrespective of what it may be. With that, I wish you and yours all the very, very best for a happy, healthy holiday time. May the gifts of the season leave you feeling prosperous with health and love and ready to travel. And, as 2018 awaits, I wish you all that you wish for in the year ahead. The countdown is on. Ready or not, we are into the final 50 days of the year. It is remarkable that we are already so close to the end of 2017. In the same way that one naturally pauses to reflect on events of the past year, it is also that time of year when debate turns to expected trends for the next year. Being ahead of the curve is something I love to challenge myself and my team on, hence we also take pride in it being synonymous with the Trafalgar brand. So ahead of the Christmas countdown, here are my seven trends for 2018. Why seven? Simple: it is the world’s favourite number. There are seven days of the week, seven colours of the rainbow, seven seas and seven continents. And, there is no value in increasing the number purely for numbers’ sake. If you’ve ever been to the same destination during the typical peak season and the off-season, you could relate to me instantly. The way locals treat visitors when there aren’t many of them is also worth noticing. Welcomes are warmer and more sincere – you will feel more like a traveller than a tourist. “Over-tourism” is a growing concern. During the peak European summer travel months, destinations such as Venice, Barcelona and Dubrovnik find themselves simply overwhelmed, local residents growingly angered by the takeover of tourists. The insurgence of what I have termed the “ice cream tourist’. We have all just read about the changes coming for cruises in Venice, which will serve only to increase the concerns. For travel to remain true to people and place, we must ensure that we work to grow tourism in a sustainable manner – assisting local communities to celebrate who they are, respecting their uniqueness, as a prelude to building their economy and protecting their environment. 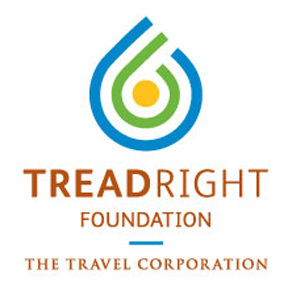 Through JoinTrafalgar, as well as our TTC-aligned Treadright Foundation, we must all play our part in ensuring that tourism remains a force for good. The term “sustainable” has been increasingly paired up with “travel” and “tourism” to denote a desired way of operating. We are hearing more and more from our travellers that they are becoming increasingly engaged with spending their money on “sustainable” ventures. It is not about being eco-friendly, it is about being environmentally-conscious – being part of the bigger picture, preserving something for the long-term. 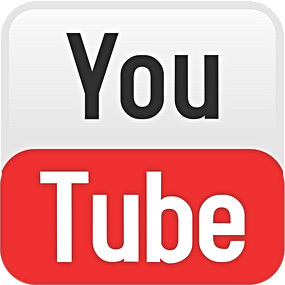 There is no doubt that the written form is quickly evaporating and today consumers are ever increasingly looking at video for inspiration; and particularly short form video, (from 5 – 30 seconds). I know that when a video starts, I look at the time bar and if its long, I click off. In 2018 we will see short form video help drive original content as well as engage and inspire travellers. Finally, if I recall correctly, last year, we reached the tipping point when we viewed more websites on our smartphones and tablets than our desktops. This milestone highlights how our interaction with technology is rapidly shifting. 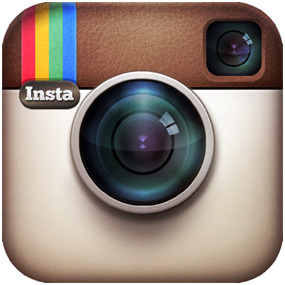 With this distinct trend and seeing how our guests use technology whilst travelling with us. In 2018 Trafalgar will be introducing an innovative new way for our guests to get information via mobile pre, during and post their travels, as well as enabling them to engage with fellow travellers and share their experiences across their social channels. Discovering the mysterious and the new remains vital to travellers. I continue to see more and more people visiting cities that were, until recently, overlooked, unheard of or inaccessible. There is no doubt that the proliferation of low-cost airlines is having a profound, positive impact on these lesser known places. Regional low-cost carriers continue to proliferate globally, making discovery of somewhat unexplored destinations a delightful reality. In so doing, these new air routes unlock previously unseen economic, social and cultural uplift. Over the past decade, airlines have added over 10,000 new routes — serving more than 37,000 city pairs. There are now 1,280 international airports serving 48,977 routes worldwide. What does this mean for travellers in 2018? More choices, more exploration, more learning, more opportunity to create more in life for the people accessing these remarkable new jewels of travel. If there is one thing that is going to distinctly differentiate this travel generation compared to those of years, and generations, past, it is the articulation of feedback – posting, rating, bragging. Today’s travellers are more ambitious and adventurous, both in their travelling, and in their travel-sharing. It’s no longer about checking boxes. Travellers want adventurous, participatory experiences. Sight-seeing is important but not enough. Sight-doing is the way to touch their travel souls and make memories to last a lifetime. The quest for realness – living local – has put heightened pressure on the most over used word in travel, ‘authentic’. What must never be forgotten is what travellers are ultimately looking for: getting below the surface of destinations, understanding their uniqueness and very essence. In 2018, I think there will be an increased swathe of people fully engaged in the sharing economy, communicating to the world the wonderfully enriching experiences that they have discovered but that their friends haven’t. Yet. So, these are my Top Seven Travel Insights for 2018 – my truths for the year ahead. May they serve you and your aspirations well, as the new year unfolds. The days are distinctively shorter, the evenings tinged with a chill, and the trees are shedding shades of brown: for those of us in the Northern Hemisphere, autumn is certainly here. I love this time of year, as during a period of three months, I will visit five continents, supporting our remarkable Trafalgar Tribe with the launch of our 2018 Europe and Britain offering. Part-way through the big trips, there is already a child-like feeling that during my sleepless, jet-lagged nights, my mind and heart race as I reflect on the places I’m fortunate to have been to and those places where I want to go. We know that travel and what drives us to certain places is innately personal. The spectrum of choices for travellers literally stretches across a world of experiences, emotions, end-goals. And with the expansion of the travel industry’s reach through technology, ever-expanding airports and airline routes to places we never knew we needed to go to, today there is just about nowhere out of reach. Clearly subjective choices, my motivation for considering these eight wonders of my world varies considerably, though the immense opportunity for discovery is the common connection. The voyage of doing, seeing, living and breathing places for the first time are some of the abundant reasons I adore travelling. My passion for travel extends so greatly that I don’t subscribe to never visiting the same place twice (or more) – I firmly believe there are many places worth revisiting over and over again. As I set out my intention for 2017 to embrace meaningful travel experiences, I’ve also embraced the privilege I have of being able to go where Trafalgar, or I, personally, can make a difference. I have been countless times, but the city of light never fails to set me aglow. I am forever in awe of its ability to make me fall in love with it… again and again… and again. A stroll along the Seine or indeed anywhere in Paris enlivens and seduces every sense. Every parting is a sweet sorrow…. until I return once more. What more can I say? Paris is always a good idea (an Audrey Hepburn quote). It’s time to return. I emphatically believe this. As a traveler with an inherent love for ancient history, Egypt never fails to deliver. A country over 5000 years old, it forever remains a place that made, and continues to make, profound history. In 2018, the incredible Grand Egyptian Museum will open, showcasing the Ancient World’s riches right on the edge of the Great Pyramids. Perspective is critical in Egypt. To see the treasures from land is breathtaking. To see them again from the vantage point of the River Nile is even more captivating. Literally standing in the shadows of a mind-blowing rich cultural heritage – the seat of one of the longest histories of any modern country. The spiritual heart of Australia, this central region of this vast continent is one of the most culturally-rich places on the planet. Home to so many of Aboriginal Australia’s sacred sites, the soul-stirring moments are palpable from the second you arrive. 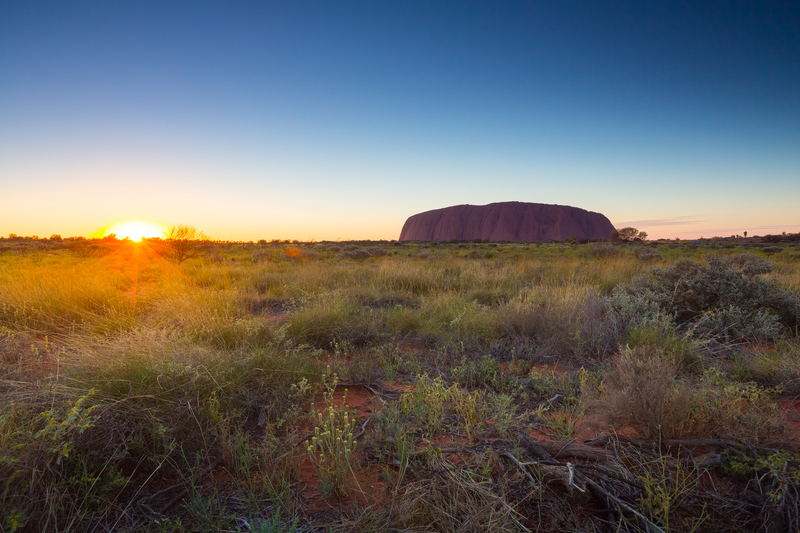 From the captivating stories of the Anangu and the changing colours of Uluru at sunrise and sunset, to the awe-inspiring landscapes and exhilarating beauty of Kings Canyon and Alice Springs, to the mysterious and intriguing series of 36 ancient red rock formations that are Kata Tjuta. It would not do justice to the 50,000+ years of the Dreamtime to try to describe the significance of this area: it has to be seen and more importantly, felt in person, to truly even be able to begin to appreciate how precious and spiritual these places are. And I, for one, cannot wait to feel that energy in person. So many places in the world have an adjective associated with them, but none are more befitting than when we describe India as “incredible”. In every sense of the word, this country is full of the most exceptional experiences and a true treat for all of the human senses. Whilst known for its opulence when it comes to delivering some of the best hospitality on the planet, there is, of course, another side to this diverse land. Both personally and professionally, I feel very strongly about ensuring we give back to those places that we visit. As such, I’m thrilled that we are now able to offer Trafalgar guests the opportunity to work with the inspirational organization ME to WE by participating in a sustainable development project in Rajasthan. Close to the Aravalli Range, the oldest plateau mountains in India, this project has been created in conjunction with TreadRight and JoinTrafalgar. I’m looking forward to experiencing it in 2018 and making a difference. For me, the true foodie capital of the world and of course now widely-recognised as the edible jewel in Scandinavia’s crown. We all know about Noma but the impact has been considerable: the 2017 Michelin Guide of Nordic Cities awarded 16 Copenhagen restaurants a total of 20 stars. Travel here today with a large appetite – for both food and beauty, of which this city has an abundance of. I never been here before?”. With the influx of tourism almost overwhelming for some of the places, my advice is to book early or go out with the traditional peak season. The “shoulder” seasons still offer great weather and the spectacular landscapes, food and hospitable people don’t change year-round. For obvious reasons, Dubrovnik is the jewel in Croatia’s crown, but I urge everyone to visit Hvar for the real thing when it comes to a slice of the good Croatian country life. And with a new USA travel advisory, my desire to visit will need to be delayed. But, my curiosity with Cuba has been long-standing and now the whole world is joining me in thinking now is the time to go and uncover this most fascinating slice of Latino life. Sadly my travel plans didn’t work out this year, given the recent devastation in this small island nation. It’s sometimes a delicate discussion around visiting a place after a natural disaster or tragedy. For me it’s a no-brainer. It makes me want to go to Cuba even more. I’m proud to be part of a community that sees the value in tourism for good. After tumultuous times in this country, it’s more important than ever that we support them in the best way we can…by going and seeing and exploring and helping sustain those communities who desperately need our holiday dollars more than they ever have before. Our thoughts are with the people of Cuba, and I hope that you, like me, will all be inclined to help them get back on their feet, sooner than later. So these are the eight places where I am planning to go to in the near future, Why eight, I have no idea. These all spontaneously came to mind hence I called them my eight wonders of the world. As I re-read this list, I note the vast difference in their locations and lifestyles, but know they will all fuel my sense of adventure and feed my soul. Some will be firsts and others a reintroduction, but the certainty of all is a new voyage of discovery. I’d like to make one small request – please stop, contemplate and make your travel list. Then spread your wings and go. Most importantly, in this sentence is a singular word, wherever you choose to visit, don’t just make bucket lists, don’t dream about “one day”. Go. This is about you and your wellbeing, Enjoy and wishing you safe and truly enriching travels, wherever you choose to go. Bon voyage! I was born into a family of passionate travellers, and remain willingly entwined in our journey. Across three generations, our shared life’s work is dedicated to this remarkable industry – an industry that builds understanding, respect, and unbreakable bonds across borders, cultures and ideologies. More and more, as our world faces forces that try to keep people apart because of their religion, their culture or simply their differences, it is travel that brings people together. I was recently with the Trafalgar Tribe in London, and whilst I was there purely for business, I realised how especially energised I was. Standing in Trafalgar Square, where our brand’s story began, I felt my adrenalin rushing at full pace. The not so secret ingredient? Family. This was a time and place, a moment in history for us all to celebrate our family’s greatest travel legacy so far, Trafalgar’s 70th anniversary. Life is busy – we are all time poor, we know that. But unless we break the cycle of being ‘busy’, we never make time for anything truly valuable and worthwhile in our lives and those important moments with family will rapidly diminish. There is nothing more valuable than the gift of time, and one of the most rewarding ways we can spend this precious commodity is with family. Whilst in London, the impact of this powerful sentiment was reaffirmed to me by three fellow TTC executives, all of whom had recently taken their families on a Trafalgar Family Experience. I was filled with immense pride as I heard from them independently (John, Melissa and Annaliesa, thank you to you and your families, for your passion and sharing your photos with us) how there is nothing in the world that can exceed the value of time shared exploring and creating memories with family, particularly for those with young children. From my own experiences, I know that planning for the ultimate holiday has become a great way for families to remain connected. Irrespective of age, we know travel to be such an incredibly powerful educator. But for younger children it has a far more profound effect in shaping their perceptions of the world about them, by enabling them to understand and appreciate different places, people, cultures and viewpoints. It teaches them about their own ability to find a place of security and identity within themselves. Travel is the truest mirror of how we see the world, and how we see ourselves in it. I have seen it in myself, I have seen it in my children; to give a child a sense of curiosity about the world, a non-judgmental interest in exploring, learning, discovering, and appreciating more, is one of the most fulfilling things both a parent and child can experience. Sadly however, time marches on and there comes a time when Mom and Dad are just not cool anymore, and are out of touch with what’s ‘in’. Interests change and the prospect of travelling with parents is far from appealing. So, don’t delay (Dan, Matt, Rachael and Marin) and anyone else, just thinking about ‘it’, make your plans today. For even if your children no longer share the same interests, in travel, there will always be something that creates excitement across the generations. It might be through direct experience of an activity or attraction, or it might in fact be sharing an unforgettable moment – the pinch me moments we all dream of. Whatever the case may be, the world in which we live offers boundless opportunities for families to stay connected, through travel. For me, it is through a love of travel, sharing those memories together, that we remain connected to both our immediate family and our global extended one. I love travel. For me the ability to freely discover new places and people is a fundamental part of the fabric of who I am. It is what turns my profession into my vocation. I have never given much thought to the possibility of this right coming under threat. That is, not until recently, when I, or rather we all, noticed that matters started to go very wrong. My view of the world has always been that of a global community, and yet today our world appears to be facing unprecedented challenges not just to our unity, but also to our humanity. Basic privileges are disappearing. Boundaries are being created. Such measures, unless stopped, will not only make travel inaccessible, but also increase the inhumanity amongst us. I am quite certain that none of us will ever forget the alarming sight of a traveler – a doctor no less – with a paid seat, being forcibly removed from a plane. Why? Because the airline crew needed to fly. Policy or not, the actions of the Chicago police, requested by the airline personnel, were inexcusable and unforgivable. Finally, after much backlash, the airline CEO even admitted so. Humanity came second to policy. It’s easy to draw parallels to another unacceptable situation ongoing in the same part of the world: an American President attempting to place ‘un-American’ travel bans, of what appears to be outright discrimination and violation of not just democracy, but human decency. My confusion around where our supposedly ‘civilized’ world is heading is multi-faceted. I was born into the hospitality and travel industry. My grandfather, at the tender age of 14, left Russia, alone, hidden under potato sacks with just 12 gold sovereigns sewed into the lining of his jacket. By 1920 he had established a new life for himself in South Africa, laying the foundations for future generations, where he purchased a small hotel in a remote fishing village. His vision of caring, inclusive, exceptional service, has been a guiding light for our family for over three generations. I must add that I grew up in Apartheid South Africa, where our hotels refused segregation laws, opening our doors to all, at the explicit risk of a harshly negative response. Despite the risks, my family was, and remains, steadfast in the commitment to ensure that all guests feel both honoured and respected. I myself, admittedly in very different circumstances, have been fortunate to run a global travel business. However; I am also an immigrant, three times over in fact, having moved from South Africa to the United Kingdom, United States and now Switzerland. Every time I moved forward, I was discovering the individuality of each culture, running a business firmly rooted in a belief of individuality and respect, always putting the guest is at the forefront of all that we do. What we are seeing today is beyond comprehension. Despite the importance of travel to economies and business that should put people and service first and foremost, sadly we find ourselves in an environment led by narrow minded political rhetoric, and poor business practices. Humanity is being pushed aside, hostility (in the name of security) is being given priority. In truth, these political and corporate policies appear to want to keep people out. I firmly believe that travel is, and must remain, our world’s great educator and unifier – the unquestionable basis for greater understanding, respect and peace. It is the quintessential bridge that connects us all. We need to be building bridges in humanity, not walls. This truism is known by all of us in the travel industry. As an industry, and as consumers, we need to ensure that whilst fresh in all of our minds, we speak our minds. Regardless of our standing from CEO, or leaders of the free world, we must not allow this spirit of poor service, this overt segregation, to spread. There is no policy that can make the sentiment of ‘stay away’ acceptable. Never has it been more important to venture outside of our familiar surrounds, to go and discover the culturally rich and diverse wonders of the world we live in. And the people with whom we share it. I have lived and loved the United States for many decades. Actions being taken, be they Executive Orders or inexplicable removal of airline passengers, are not what the land of the free has ever stood for and neither should it. It’s imperative that we realign ourselves with what made the United States and indeed our entire shared global community extraordinary. It is the shared responsibility of each and every one of us to inspire, motivate and collaborate, and not separate and alienate. Let’s return to a time when common sense created common bonds, a time when civilisation put civility front and centre. For if there is one thing I am absolutely certain of, it is this: we are so much better than this.